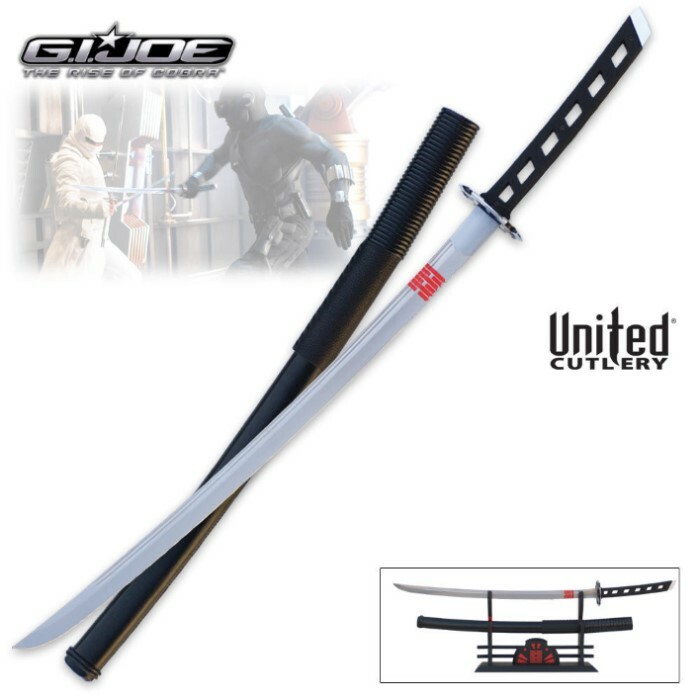 The Snake Eyes katana sword is precisely replicated from the actual movie prop used in the movie GI Joe: The Rise of Cobra. This sword features a hand forged high carbon steel blade with double fuller grooves, etched emblem, and a leather and rayskin wrapped grip and includes a wood scabbard with authentic details, a decorative display stand, and a certificate of authenticity. Each sword is individually numbered for collecting.